(B) Changes to Terms of Service. SYNIMATICA may modify the Terms of Service, or any part thereof, or add or remove terms at any time, and such modifications, additions or deletions will be effective immediately upon posting. Your use of the Site after such posting shall be deemed to constitute acceptance by you of such modifications, additions or deletions. (C) Changes to Application. 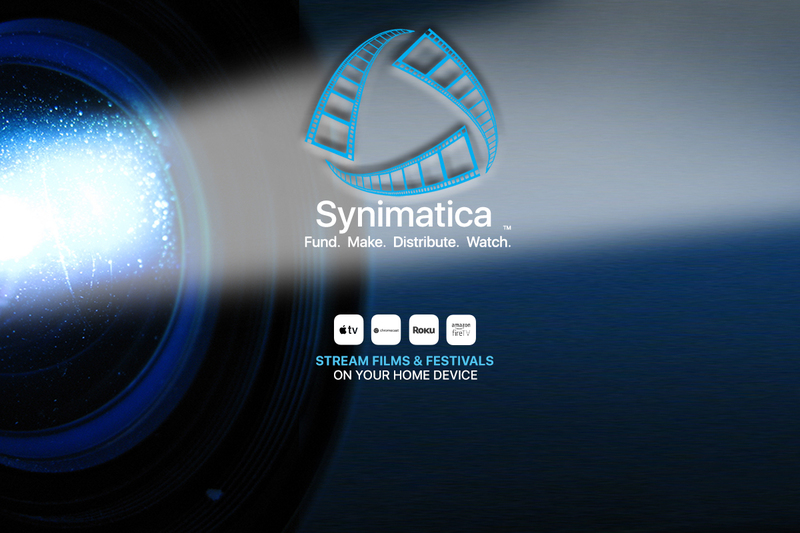 SYNIMATICA may change or discontinue any aspect, service or feature of the application at any time, including, but not limited to, features, content, hours of availability, and equipment needed for access or use. The Site contains copyrighted material, trademarks and other proprietary information, including, but not limited to, text, software, photos, video, graphics, music and sound, and the entire contents of the Site are copyrighted as a collective work under the United States copyright laws. SYNIMATICA owns copyright in the selection, coordination, arrangement and enhancement of such content, as well as in the content original to it. You may not modify, publish, transmit, participate in the transfer or sale, create derivative works, or in any way exploit, any of the content, in whole or in part. You may download copyrighted material for your personal use only. Except as otherwise expressly permitted under copyright law, no copying, redistribution, retransmission, publication or commercial exploitation of downloaded material will be permitted without the express permission of SYNIMATICA and the copyright owner. In the event of any permitted copying, redistribution or publication of copyrighted material, no changes in or deletion of author attribution, trademark legend or copyright notice shall be made. You acknowledge that you do not acquire any ownership rights by downloading copyrighted material. In many instances, the content available through the Site represents the opinions and judgments of the respective user or information provider not under contract with SYNIMATICA. SYNIMATICA neither endorses nor is responsible for the accuracy or reliability of any opinion, advice or statement made on the Site by any third party. Under no circumstances will SYNIMATICA be responsible or liable, directly or indirectly, for any loss or damage caused by your use or reliance on information obtained through the Site. SYNIMATICA is not responsible for any actions or inaction on your part based on the information that is presented on the Site. It is your responsibility to evaluate the accuracy, completeness or usefulness of any information, opinion, advice or other content available through the Site. Please seek the advice of professionals, as appropriate, regarding the evaluation of any specific information, opinion, advice or other content. SYNIMATICA may run advertisements and promotions from third parties on the Site. Your business dealings or correspondence with, or participation in promotions of, advertisers other than SYNIMATICA, and any terms, conditions, warranties or representations associated with such dealings, are solely between you and such third party. SYNIMATICA is not responsible or liable for any loss or damage of any sort incurred as the result of any such dealings or as the result of the presence of third-party advertisers on the Site. (A) YOU EXPRESSLY AGREE THAT USE OF THE SITE IS AT YOUR SOLE RISK. NEITHER SYNIMATICA, ITS PARENT, SUBSIDIARIES, ITS OTHER AFFILIATES NOR ANY OF THEIR RESPECTIVE EMPLOYEES, AGENTS, THIRD PARTY CONTENT PROVIDERS OR LICENSORS WARRANT THAT THE SITE WILL BE UNINTERRUPTED OR ERROR FREE; NOR DO THEY MAKE ANY WARRANTY AS TO THE RESULTS THAT MAY BE OBTAINED FROM USE OF THE SITE, OR AS TO THE ACCURACY, RELIABILITY OR CONTENT OF ANY INFORMATION, SERVICE, OR MERCHANDISE PROVIDED THROUGH THE SITE. (C) THE SITE MAY OFFER HEALTH, FITNESS, NUTRITIONAL AND OTHER SUCH INFORMATION, BUT SUCH INFORMATION IS DESIGNED FOR EDUCATIONAL AND INFORMATIONAL PURPOSES ONLY. THE INFORMATION CONTAINED ON THE SITE DOES NOT AND IS NOT INTENDED TO CONVEY MEDICAL ADVICE AND DOES NOT CONSTITUTE THE PRACTICE OF MEDICINE. YOU SHOULD NOT RELY ON THIS INFORMATION AS A SUBSTITUTE FOR, NOR DOES IT REPLACE, PROFESSIONAL MEDICAL ADVICE, DIAGNOSIS, OR TREATMENT. SYNIMATICA IS NOT RESPONSIBLE FOR ANY ACTIONS OR INACTION ON A USER’S PART BASED ON THE INFORMATION THAT IS PRESENTED IN THE SITE. (D) TO THE FULLEST EXTENT PERMISSIBLE BY APPLICABLE LAW, IN NO EVENT SHALL SYNIMATICA, OR ITS PRESENT OR FUTURE PARENTS OR AFFILIATED COMPANIES, BE LIABLE TO YOU FOR ANY PERSONAL INJURY, PROPERTY DAMAGE, LOST PROFITS, COST OF SUBSTITUTE GOODS OR SERVICES, LOSS OF DATA, LOSS OF GOODWILL, WORK STOPPAGE, COMPUTER AND/OR DEVICE OR TECHNOLOGY FAILURE OR MALFUNCTION OR FOR ANY FORM OF DIRECT OR INDIRECT, SPECIAL, INCIDENTAL, CONSEQUENTIAL, EXEMPLARY OR PUNITIVE DAMAGES BASED ON ANY CAUSES OF ACTION ARISING OUT OF USE OF THE SITE OR ANY ALLEGED FAILURE OF PERFORMANCE, ERROR, OMISSION, INTERRUPTION, DELETION, DEFECT, OR DELAY IN SERVICE, OPERATION, OR TRANSMISSION OF THE SITES, OR ANY ALLEGED COMPUTER VIRUS, COMMUNICATION LINE FAILURE, THEFT OR DESTRUCTION OF PROPERTY, AND/OR UNAUTHORIZED ACCESS TO, ALTERATION OF, OR USE OF OR POSTING OF ANY RECORD, CONTENT, OR TECHNOLOGY, PERTAINING TO OR ON THE SITES. YOU AGREE THAT THIS LIMITATION OF LIABILITY APPLIES WHEHER SUCH ALLEGATIONS ARE FOR BREACH OF CONTRACT, TORTIOUS BEHAVIOR, NEGLIGENCE, OR FALL UNDER ANY OTHER CAUSE OF ACTION, REGARDLESS OF THE BASIS UPON WHICH LIABILITY IS CLAIMED AND EVEN IF SYNIMATICA OR ITS PRESENT OR FUTURE PARENTS OR AFFILIATED COMPANIES HAS BEEN ADVISED OF THE POSSIBILITY OF SUCH LOSS OR DAMAGE. WITHOUT LIMITING THE GENERALITY OF THE FORGEOING, YOU ALSO SPECIFICALLY ACKNOWLEDGE THAT SYNIMATICA AND/OR ITS PRESENT OR FUTURE PARENTS AND AFFILIATED COMPANIES ARE NOT LIABLE FOR ANY ACTUAL OR ALLEGED DEFAMATORY, OFFENSIVE, OR ILLEGAL CONDUCT OF OTHER USERS OF THE SITES OR ANY OTHER THIRD PARTIES. (G) SYNIMATICA disclaims any and all liability of any kind for any unauthorized access to or use of your personally identifiable information. By accessing the Site, you acknowledge and agree to SYNIMATICA’s disclaimer of any such liability. If you do not agree, you should not access or use the Site. You agree to defend, indemnify and hold harmless SYNIMATICA, its affiliates and their respective directors, officers, employees and agents from and against all claims and expenses, including attorneys’ fees, arising out of the use of the Site by you or your Account. SYNIMATICA reserves the right to take over the exclusive defense of any claim for which we are entitled to indemnification under this Section. In such event, you shall provide SYNIMATICA with such cooperation as is reasonably requested by SYNIMATICA. SYNIMATICA may terminate or suspend these Terms of Service at any time without notice to you. Without limiting the foregoing, SYNIMATICA shall have the right to immediately terminate Your Account in the event of any conduct by you which SYNIMATICA, in its sole discretion, considers to be unacceptable, or in the event of any breach by you of these Terms of Service. The provisions of Sections 1 — 13 shall survive termination of these Terms of Service. SYNIMATICA, its parent, subsidiaries and affiliates, own all rights to their logos and trademarks used in connection with the Site. All other logos and trademarks appearing on the Site are the property of their respective owners. Neither SYNIMATICA nor you shall be liable for damages or for delays or failures in performance resulting from acts or occurrences beyond their reasonable control, including, without limitation: fire, lightning, explosion, power surge or failure, water, acts of God, war, terrorism, revolution, civil commotion or acts of civil or military authorities or public enemies: any law, order, regulation, ordinance, or requirement of any government or legal body or any representative of any such government or legal body; or labor unrest, including without limitation, strikes, slowdowns, picketing, or boycotts; inability to secure raw materials, transportation facilities, fuel or energy shortages, or acts or omissions of other common carriers. For any questions or requests other than copyright issues or licensing requests, please contact info@synimatica.com.